Use these homemade bread recipes to learn how to make bread. 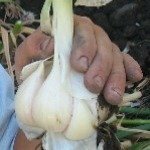 The ingredients come from your food storage and garden. 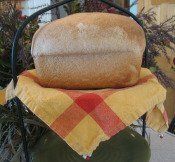 Benefits of making homemade bread? Tastes Better. Nothing can compare to fresh bread straight out of the oven. In our home the bread doesn’t even have time to go stale. No preservatives. Your body doesn’t need to be preserved it just needs to be nourished. Fresh bread doesn’t’ have a long shelf life, because it’s not full of preservatives. Saves Money. You save money in two ways. You don’t have to go to the store as often to buy bread. Staying out of the store saves you money. The price of the ingredients is just a fraction of what a loaf of bread costs. Rotates Your Food Storage. 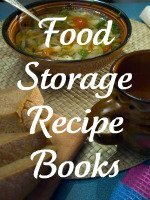 Use and rotate your wheat and other food storage ingredients so they don’t get old. Learn a Life Saving Skill. If you couldn’t go to the store to buy bread, you’d want master this skill before a crisis.